It's the same old story, you've indulged (a little too much) this Christmas and now is the time to get back into that healthy regime. Virgin Active Club at Twickenham Stadium have given us some top tips and trends for nutrition and exercise for 2016. The biggest use of the gym is for weight loss and toning and January certainly sees a peak in the number of member's from the aftermath of Christmas. It's a frequent perception that to lose weight you need to follow a strict diet plan. Yes this can work and get you to the desired weight but what happens when you reach the weight and stop dieting? To reach and maintain your desired weight, the best way is to find an exercise and eating plan that works for you around your schedule. This doesn't have to mean exercising three hours a day and living off a liquid diet. Meal preparation is imperative to sustain a healthy lifestyle. Plan your meals for the week ahead and write a simple plan to help you stick to it. Remember when planning for the week it's not about dieting, it's about maintaining a balanced diet. Be wary of the things you eat or drink that go unnoticed. For example, it's easy to forget that drinks are a big contributor to your diet and health. Do you find yourself drinking a couple of cans of fizzy drink a day or enjoying a glass of wine or two in the evening? By making a conscious effort to cut down on these will immediately reduce your sugar intake, helping move towards a healthier you. Many people often make the mistake of thinking that exercise = time consuming. This doesn't have to be the case as there are plenty of options to fit around your busy schedule. 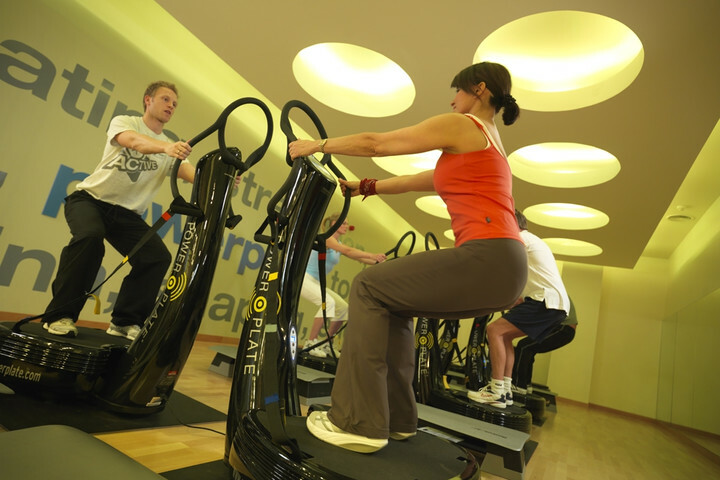 Virgin Active have introduced shorter 20 minute classes to appeal to those with busy schedules. A new and very popular class is Zuu, where you power your body with primal movements from the animal kingdom by crawling, lunging and roaring your way through the class. This class offers something different and fun while making your body workout. HIT (High Intensity Training) is also a fantastic way to slim down and tone up. The basis around HIT is to workout at a fast and high intensity for a short period of time, several times throughout the workout. This could be ten 30 second sprints with a gentle walk in-between each. The advantage of HIT is that those calories will continue to burn post workout. Swimming is a great option for exercise if you are a hater of the gym. Mix up the strokes. If there is a particular stroke you don't like, e.g. front crawl, train yourself to start small with two lengths and add an extra one each time you swim. Fitness apps and technology are on the rise and can be useful with the planning of your exercise and eating plan. A popular one used among the personal trainers at Virgin Active is MyFitnessPal, which can count your calories, log your diet plan and help with exercise suggestions. If you use these few pointers to help create a plan that works for you and your lifestyle, you are one step on the way to a healthy 2016.